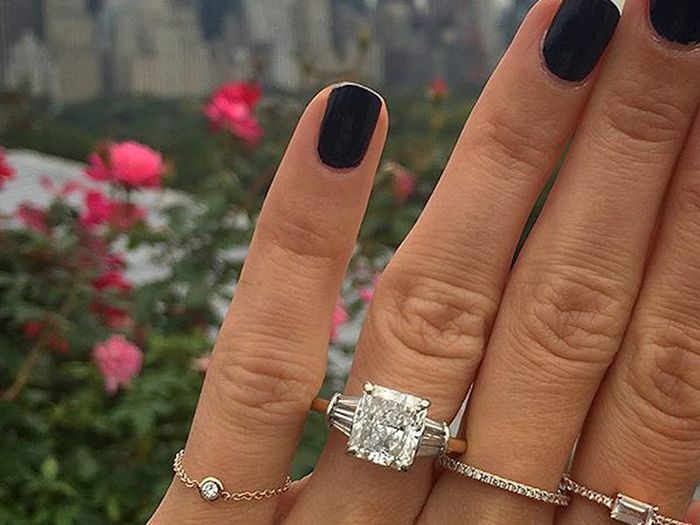 With all the fashion-girl engagements lately, we've been noticing a wide range of ring shapes and sizes. Of course, most of the gems in question have been spotted on celebs and trendsetters—in other words, they're massive by our standards. But what constitutes a "big" ring in the real world? To get a sense of what you and I would consider a large rock, Who What Wear tapped five diamond experts to spill on the size they think average people would consider big. Then we pooled their answers to find the average carat number. 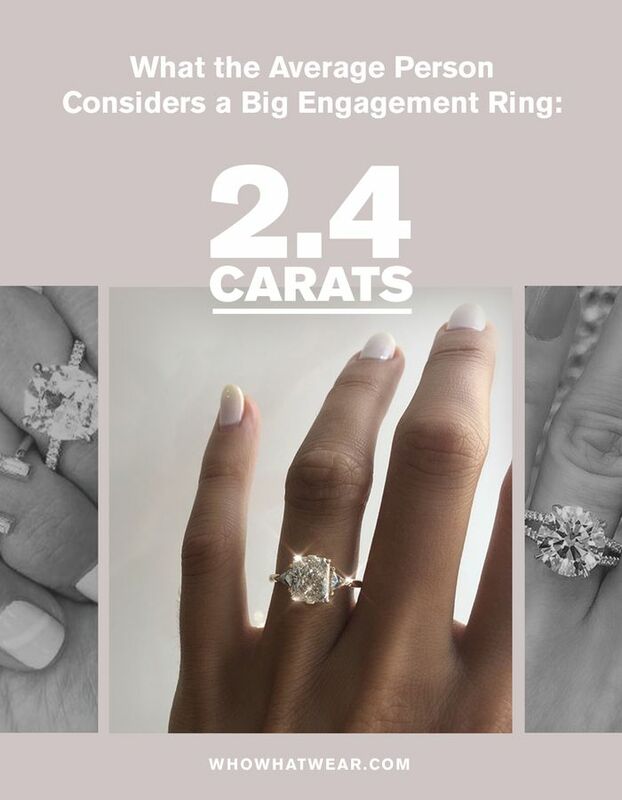 Keep scrolling to see the final result and learn more from our panel of experts, including why people think this specific size is so jaw-dropping, and which other factors go into how large a ring actually appears. Plus, go a bit further to check out recent "big" celeb diamonds and to shop engagement rings of any size. "Most women think of two carats as a decent-size diamond, with a typical color clarity ranging from VS1-VS2, F-G color. [D is colorless.] A noticeably big diamond will be three carats and above. These are the ones that turn heads." — Scott Friedman, Gleem & Co.
Next, explore some recent "big" celeb diamonds and then shop engagement rings of any size. Say "I do" to this pretty style. Pavé diamonds on the band match the halo. It doesn't get more classic than this style. A dynamic band for some added interest. Finished on a hammered band. Sparkle on with this pretty ring on your finger. This stunning sparkler will light up any look. Strangers just might stop and stare at this one. A great ring doesn't have to be complicated. These stones add just the right amount of sparkle.